Exciting August news, all! 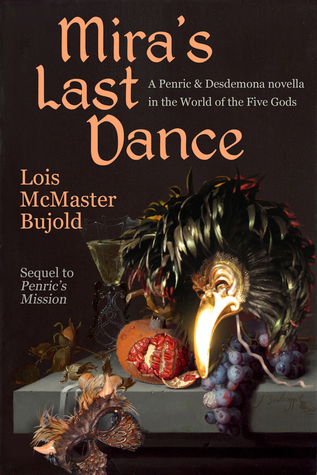 Lois McMaster Bujold came out with a new Penric novella on August 8, 2017! 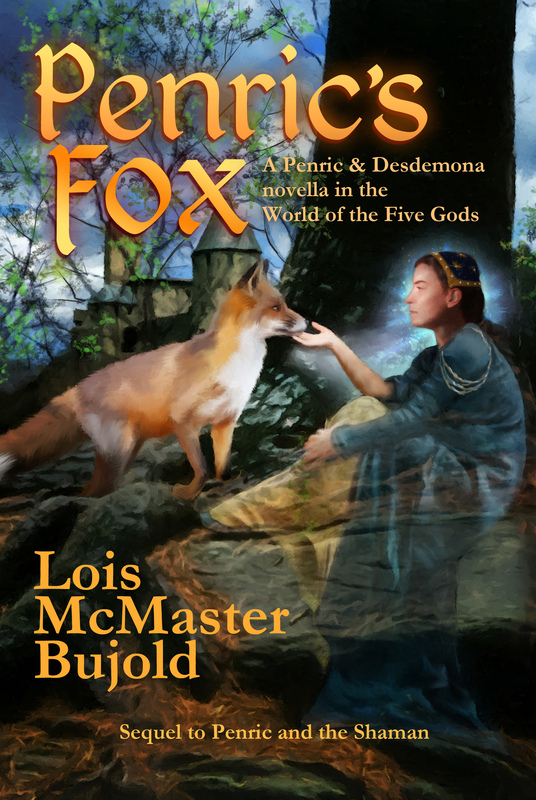 Hang onto your time-travelling imagination caps: “Penric’s Fox” is actually book three, following “Penric and the Shaman” by about nine months, and before “Penric’s Mission” (NB: as of 2017 08 08. Your mileage and chronometer may vary). “Whaaa?” Not to worry — all the stories can stand on their own, and who is going to quibble when we have the chance to see Penric in action again? So, go. Make a liter of something seasonal and delicious, find your favorite reading pillow, and download the book. When you’re done, come back here and see what Lois has to say about the process of writing things. EMD: I suppose the first question is why did you write a follow-up to “Penric and the Shaman” (the second Penric novella) and not a follow-up to “Mira’s Last Dance”? I mean, I’m grateful for whatever you’ve got, but it is a question that comes up. LMB: This was the story that wanted to be written first. I am considering a follow-up to “Mira”, yes, but those ideas were not ripe at the beginning of this year (2017), and then the key idea that this story was awaiting suddenly slotted in, so. The delay proved to be, as is often the case, good for the other set of ideas as well, as a few more have joined that collection since January that I could not have foreseen. For me, a story in the process of assembling itself is like a box of loose objects rattling around aimlessly, till some connecting idea drops in and things suddenly get interesting. (Note that some of those pieces may also prove to be wrong ones, like two jigsaw puzzles mixed together. Sorting those out can also take some time.) Trust me, stories only look inevitable in retrospect. Some of the ideas for “Penric’s Fox” had been kicking around ever since I was developing backstory prior to starting what became “Penric’s Mission”, but they weren’t necessarily stories yet. The seven years I jumped over to get to Penric at age 30 were full of experiences that were important to him but not necessarily story-like, though I needed to know roughly what they were before I could write him at that later stage. It was basically the same sort of task as developing any new character’s backstory before starting them off on a tale for the first time, even though the reader will never see most of it. I should also note that one of the developments in the tale came from watching the family of foxes that denned under my garden shed earlier this year, not something I could have anticipated. There’s nothing like direct observation. If life hands you foxes, make foxade. I was leery about the release of “Penric’s Fox” for the proven reason that a lot of folks who last left off with “Mira” are well-trained by other series to expect strict internal chronology in their tales. To the point that I was seriously considering suppressing publication of this tale for a time. People who know my prior work should realize I don’t write that way, but, of course, there are new readers all the time (I hope.) I have persuaded myself that it will instead be well to put readers on notice early in the game that this miniature series (as contrasted with a mini-series, another medium altogether) isn’t going to be playing by those rules, so they won’t be even more taken aback later, should there be a later. I am braced for some whinging anyway, especially from the enthusiastically careless who don’t stop to read the vendor-page description, and will try not to be too tart in response. I may need to try pretty hard. EMD: This isn’t the first time in your career you’ve written out of order as far as story-time goes. Barrayar, the second in the Vorkosigan series, was actually the fourth book you completed (IIRC). [LMB: Eighth. It had a complicated gestation, discussed at length in the Afterword to Cordelia’s Honor, available among other places in my nonfiction e-collection Sidelines: Talks and Essays.] In other interviews, you’ve said you generally write quite linearly during the drafting of each individual story —you’ve called the process a rolling outline. Penric’s on his own timeline. Can you tell us some of the pros and cons of writing Penric’s series with a jump-back? Pen’s series is not yet large enough for the cons to cut in. But among the problems that can arise from this approach are constraints on how the new-interim story can play out plot-wise —it can’t contradict anything that comes later—and in terms of character development, ditto. There is also the question of why these important events never cross the character’s mind later, when they naturally would. 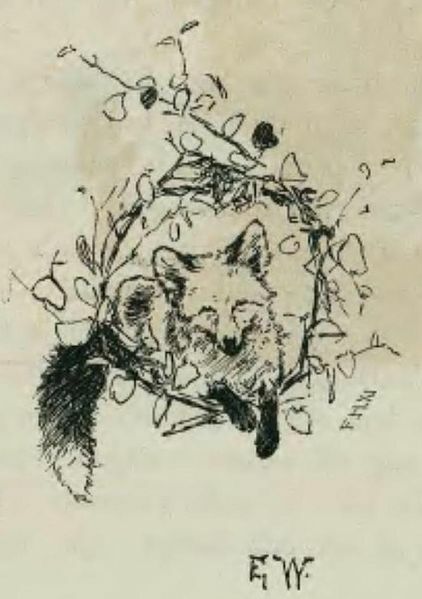 In a way “Penric’s Fox” is a story that was already planned-for when I was working out what-all Pen had been doing in his 20s. In the backstory that was revealed or related in the later-in-Pen’s-timeline tale “Penric’s Mission”, I’d deliberately left a space waiting for it, though whether or when or how I’d ever fill it was left optional. 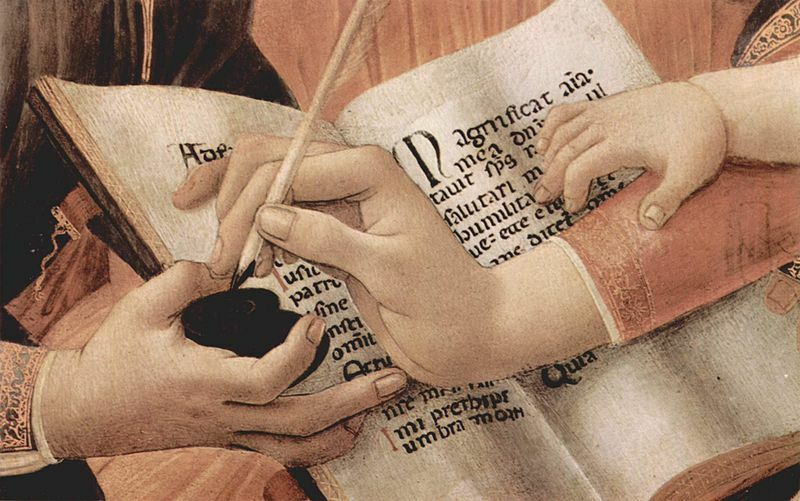 EMD: So, when a writer writes, the possibilities are narrowed from the time the first sentence is set on the page. In a draft, you still have the option to change everything, if necessary, but once it’s published, it can be difficult because the character’s past is already set. In this case, not only is the character’s past set in pixels, but to some extent his future is, too. Does this change how you write? And more importantly for our readers, do you have any special tricks for keeping track of what the characters have done/will do, or do you just have a gifted memory for their histories (past, present, future and any other timey-wimey sense)? LMB: Well, everything written in a connected series affects everything else, naturally. The whole mental construction gradually becomes a sort of 3-D web in readers’ heads as they assimilate all the stories, even though the prose is read linearly one sentence after another. If this becomes too constraining, the writer can always start something completely new to capture the fresh ideas. No, I don’t have any special tricks for keeping track. My notes are messy things, meant for current use not archiving. (I sometimes regret this. I may never again find that map I sketched of the Weald back in 2003.) But for any story that is already published, I can reread it myself if I need to refresh my memory as to What I Said. (I admit, I am sometimes reduced to asking the fans in my chat group, “Can you remember where this thing happened in the stories?” but someone always knows. Distributed memory?) Anything not published I can change or update on the fly to fit my current story’s needs. Also, by the time I’ve constructed, written, taken comments and revised, and read and reread (and reread and reread) a story in the course of writing it, plus final edits (note plural), plus maybe checking a copy-edit, galleys, plus galleys for reprints and onward, it’s pretty well burned into my brain. I can probably remember more about my stories than about my life, which among other things lacks an editing pass. Alas. EMD: Thanks so much, Lois, for the interview! Readers who want to know more about Lois’s writing process may want to visit her Goodread’s blog, or see the recent Ask Me Anything on Reddit. This entry was posted in Author Interviews and tagged E.M. Duskova, internal chronology vs publishing order, linear writing, Lois McMaster Bujold, Lois McMaster Bujold interview, Michaeline Duskova, novellas, Penric series, Penric's Fox, self-publishing, useful fans, writing notes, writing process, writing what's juicy. Bookmark the permalink. Great interview! Also, congratulations, Lois! So glad you enjoyed it, J.! I think you want a link to “Penric and the Shaman” there, rather than a second one to “Penric’s Demon.” I loved the interview and chuckled several times! Nice catch, Margaret! I’ve just fixed it. I love interviews with Lois . . . always some new facet to explore! Terrific interview, thank you Lois and Michaeline! It’s always so interesting to see how writers who are so good at series approach them. And congratulations, Lois, on the Hugo! It’s richly deserved. I really like Lois’ approach to series. I think these things are innate to the writer and probably very hard to change even if one wants to, but, as a reader, I still appreciate that I can read each story as a stand-alone. I often wind up on a reading binge when a new one comes out (and if I didn’t have to tend the blog and get ready for guests, I would be binge-ing right this very minute! And as soon as the sheets are dry, I think I will indulge!). There’s that connection, but it’s on a different level from the action in each individual story, for the most part. I’ll also say that there are reading chunks. I probably don’t have time to do a full Five Gods Universe (5GU) re-read, but the Penrics are all a very reasonable chunk. I also adore reading Shards of Honor and Barrayar in a chunk, and then Komarr and A Civil Campaign in a chunk. These four books plus Jennifer Crusie’s Bet Me and Jane Austen’s Pride and Prejudice are my total, feel-good, anti-depressant comfort reads, and I do wind up re-reading them again and again. (-: I’ve never seen anyone address Series Chunks before, but then again, I am woefully ignorant of my own genre. Great interview. I can’t wait to read this. I hope you get a chance to do so, soon! (-: A lot of fun! The really nice thing about novellas is that you don’t really need to clear a whole afternoon and part of the evening to indulge in an epic read — half an afternoon is fine. (-: But on the other hand, if you are like me, once you’ve read it, you need to clear an entire day to read all five of them in order (-:. I can’t decide if I should have a Read-Week and read one each evening, or just write my Saturday blog early and shut down all communications with the outside world and spoil myself. Decisions, decisions (-:. Nice ones to have.